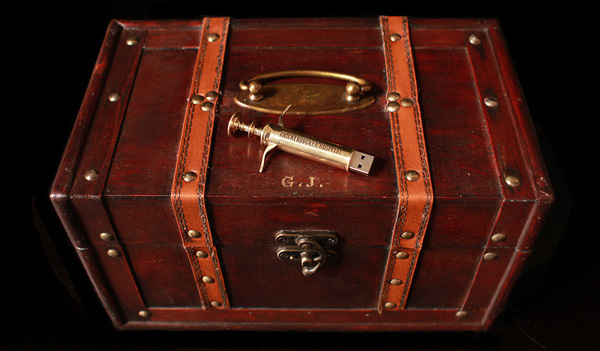 Authenticity, attention to detail and a discoverable story helped this promotional Surgeon's Box for Steven Soderbergh's The Knick win a Gold Clio for Television Packaging. Arriving unannounced at the homes and businesses of 200 journalists, celebrities, influencers and Cinemax fans, each Surgeon’s Box was customized with the recipient’s initials. It formed an invitation to dive into the show’s storyworld prior to premiere and share it with their fans and followers. 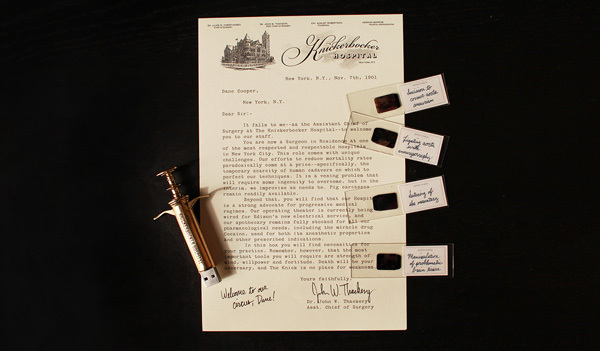 Inside, a letter written on a turn-of-the-century typewriter welcomed the recipient as the newest surgeon at The Knickerbocker Hospital, aka The Knick. The letter further explained that the enclosed items would familiarize the reader with their new duties at one of New York’s finest hospitals. An engraved syringe for injecting “information” contained video clips, photographs and show notes in digital form, while glass slides held invasive surgical scenes from the show — viewable only under a microscope. 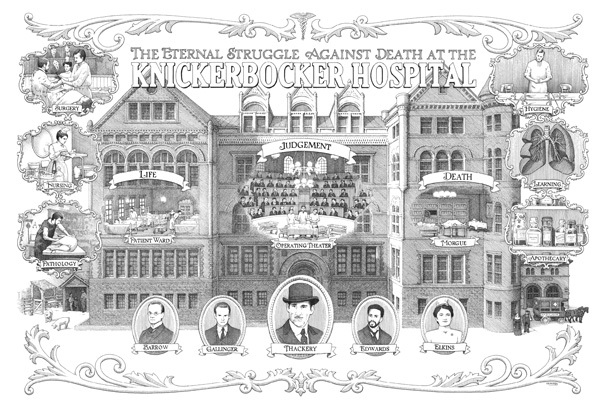 An enclosed pamphlet unfolded to reveal a large period-style illustration of the hospital, including a staff roster, location details and story themes. This original illustration was specially commissioned from award-winning illustrator Gerhard (known for his work on the seminal graphic novel Cerebus. 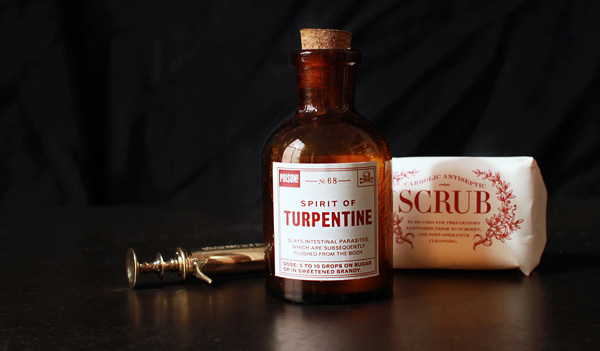 Another staple of the Surgeon’s box: Scrub Soap, for cleansing the hands before and after messy operations. Our authentic carbolic soap exuded a strong antiseptic scent from the moment the box was opened. It was also “gimmicked” to bleed red “blood” when used with water. 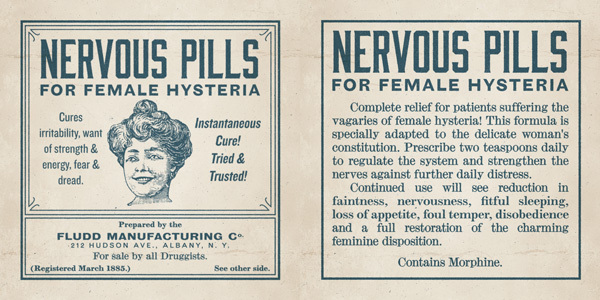 Every painstaking detail was meticulously crafted to reduce all barriers to immersion in our story, including writing and designing labels for a variety of real historical quack cures. 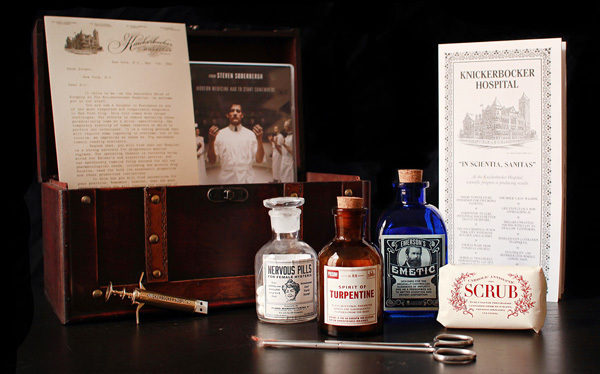 The Knick Surgeon's Box laid the groundwork for the show's successful premiere and second season pickup. It also went on to win a Gold Clio award for Best Television Packaging.